WordPress is a perfect platform for the beginners to experience the universe of developing, designing, managing, and running a website. Even the experienced players of the web development industry love to use this tool to run their businesses that too in many different ways. WordPress offers thousands of free and paid themes that can enhance the graphical interface of your website. Every theme has something better than the other. One looks great but the second one has far better features than the other. Every theme is designed for a specific reason or say a particular market. There are numerous plugins used in WordPress website development and it is possible that most of them do not suit the niche of your website. So, how can you find out the one that is more likely to complement your business or blog site? Below is a list of things that you should keep in mind before selecting a theme. Things that shine at first are likely to end up in a dump, unless they are diamonds. Websites full of aggressive colors and feature can look good for ones but are they really going to justify your ideas behind the business? NO! What a simple and smart website can do, a phony and complicated website simply cannot. A website with subtle functions and plugins can carry out your business like a rocket. So, choose a theme that rides along with the ideology of the website, makes it easier to navigate for the users, gets you new subscribers, and is easy to use. The time has gone when a person was able to access websites only on the computer. Today, one can access the Internet from any part of the world on lots of different devices so don't you want to make him or her your new visitor. If yes, then you need to make sure that your website is compatible with each & every device out there in the market. To make it possible, choose the theme that gives you the flexibility of adjusting different mobile sizes. You must also think about the various Operating systems people are using. They can also put a great impact on your website's statistics. There are not just multiple screens and Operating systems to serve. Browsers also play an important role when it comes to making your website triumph. Your browser might be running the website perfectly but there are many other browsers that may show some bugs or glitches and may affect your progress. So, you must check your website on all the other main browsers like Opera, Google Chrome, Internet Explorer, Firefox, Safari, etc. for any problems. These also include the browsers of the mobiles. 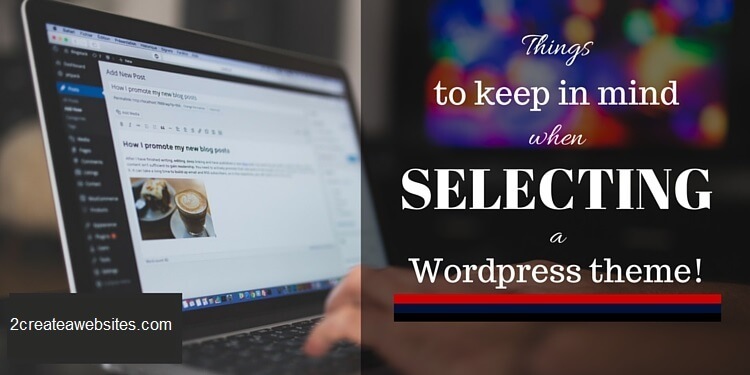 The functionality of your website depends on the plugins you use in WordPress. These plugins open the door of vast possibilities for your site. You must seek the plugins that can truly help you gain a better and easy functioning. Sometimes, the plugins that you need are not supported by your theme, so make sure these two things are compatible with each other. Also remember that excess of plugins can increase the loading time of the website and Google loves faster sites. Ask yourself do you really need that plugin. Plugins can really have a huge impact on your website. Make sure you use plugins from a well know source and that have been tried and tested, and have had several thousand downloads. There are billions of people on this planet speaking different languages and following different cultures. Hence, if you make your website multilingual, your area of operation will grow significantly. Besides English, there are plenty of languages you can add to your website and get visitors from various parts of the Earth. Even the translation would help you to provide to the foreigners. Do check whether your theme supports translation and multilingual WordPress Plugins or not. SEO is the most important thing if the visitors are your real profit, so never let the themes make you suffer for bad SEO. Have a theme that gives you a great search, brings you tons of visitors and earn you good money. This is the trick to having a successful website. Paid themes might have a better hold in this field as developers put more of their time and effort in designing and building such themes. Otherwise, you can always consult with W3C Markup Validation Service. Check your theme once its been loaded onto your site. The theme you choose must be affecting your website in a positive manner. You should not buy a theme that is high on plugins and is unable to meet the expectations of your business. While buying a theme, make sure its yield is significant to the amount paid to purchase it. Sometimes you could even ask a theme designer to design a theme for you, that way you could talk to the designer and get your new theme custom built with only the stuff you need. Page Builders are a great innovation in its own. These are plugins that can be used to design a page layout with an easy drag and drop. A lot of WordPress themes, most of them premium, have pre-installed page builders. Even the theme developers use this tool to create themes like that. You must choose the theme that gets well matched with the popular page builder plugins. As, when you use a page builder while creating a landing page, so many unwanted codes are generated that at the time of changing theme, the pages ask for an abundance of cleaning. Otherwise, you can always buy the page builders to apply the theme. Typically, free themes do not support everything you require to operate your website at its true potential. You might find a few potential themes for your website as the developers have done a great job but most of the time, the support is not at all guaranteed. Having no support can be costly, you might need a third-party developer to clean your mess, no matter how petite it is. Choose a theme with great support options and documentation. You will probably find multiple WP themes with comprehensive documentation plus a year of support (via emails). Money is the ultimate goal in this era and what's better than earning money through a website. Monetizing is simple, you advertise, socialize, work on SEO to draw customers attention, make the website mobile-friendly, and integrating social media platforms. Higher the traffic, more the income. What do you do before buying anything over the Internet? You just go to the ratings and reviews section of the product. Ratings will determine its functionality and reviews will say about the pros and cons of the theme. We have listed all the things you might check before finalizing a WordPress Theme. Hope this article helps you choose the best suitable theme for your website.